Hello there, I hope you are all well? Today I have a male birthday card to share. It's a simple one but I do like how it came out. 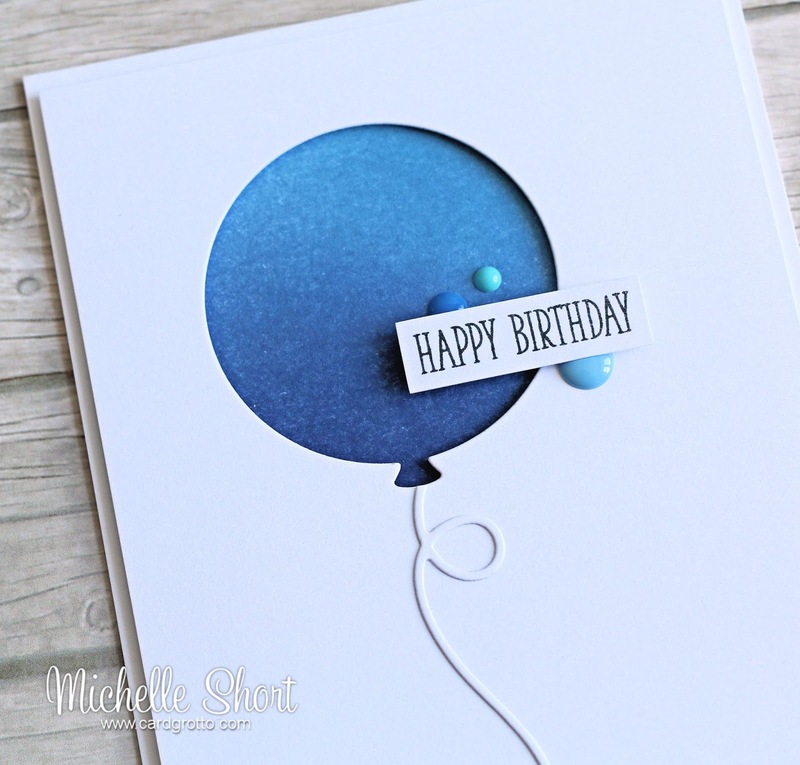 I used the Party Balloon die collection from Lawn Fawn, this is the first time I have used it since I bought it and I have to say, it is great! 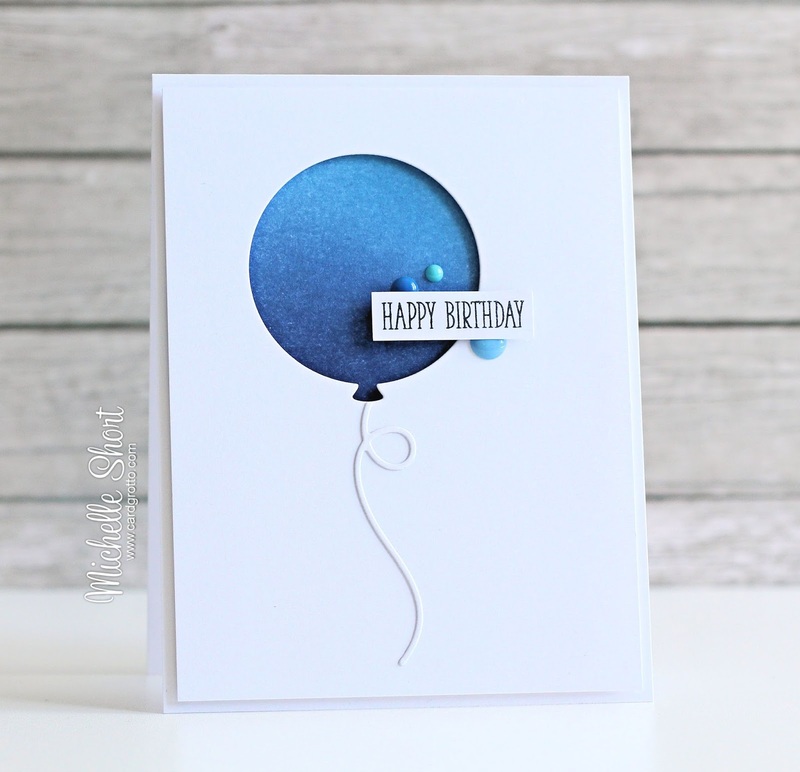 I started off by die cutting the balloon from a panel of white cardstock. I am using the negative to make a window. I took an A2 white card base and blended TH Distress Inks in Tumbled Glass (this pretty much got covered by the other colours in the end), Faded Jeans and Chipped Sapphire on to it. The panel was added on top with foam tape. The balloon string was cut from more white cardstock and I added this on tot he panel with glue pen. The sentiment, from the Clearly Besotted Many Mini Messages set, was stamped with black ink on to white cardstock and cut out. This was added to over the balloon with foam tape. I finished off by adding a few Doodlebug Sprinkles. Thank you so much for visiting me this afternoon (depending on where you are in the world!) . I hope you all have a great rest of the day. Fabulous inking, Michelle! Brilliant CAS card. I like the bang of color with the white background and tiny bits of embellishment.